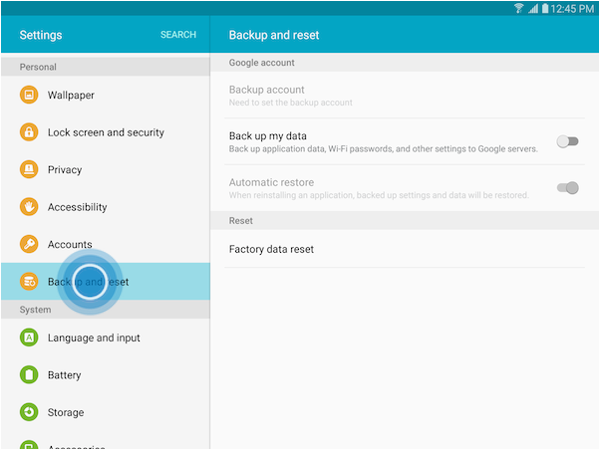 Galaxy Tab S2: How do I backup my data on my Samsung Galaxy Tab S2? 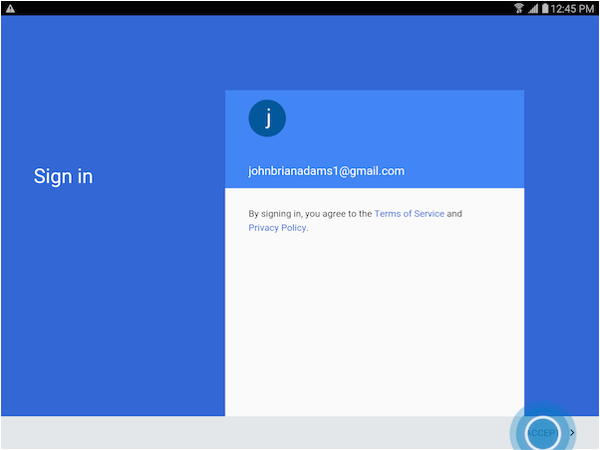 Keep your personal information, app data, and settings safe on your device. 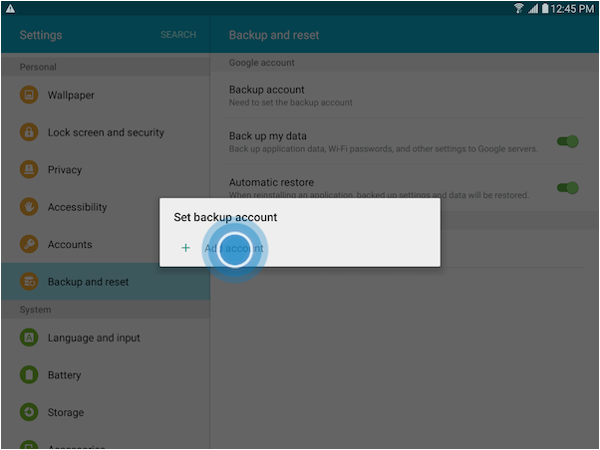 You can back up your sensitive information to a backup account and access it later. 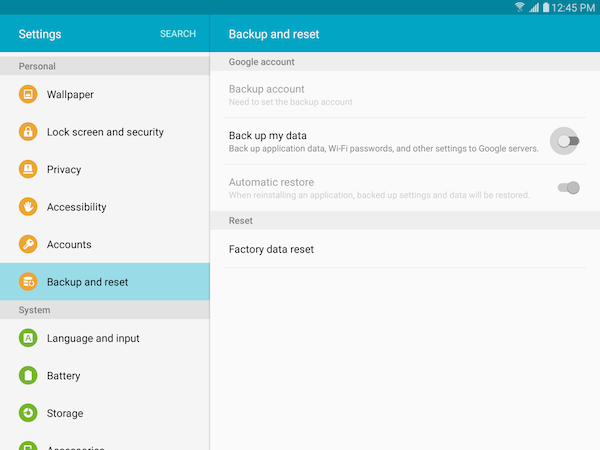 Backup application data, bookmarks, Wi-Fi passwords, and other settings to Google Servers. 3. 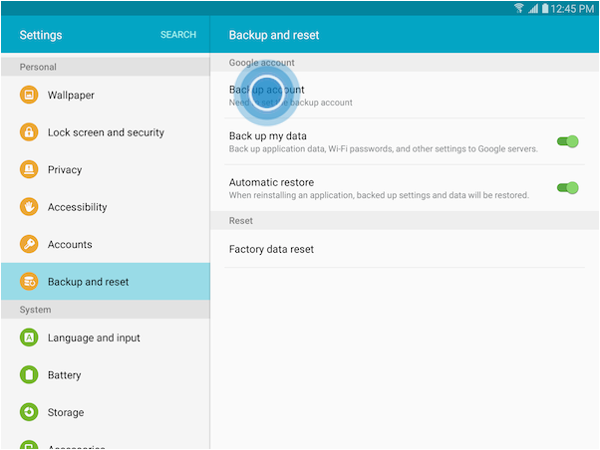 Scroll to and touch Backup and reset under the Personal tab. 4. Touch the slider to turn Back up my data on . 6. 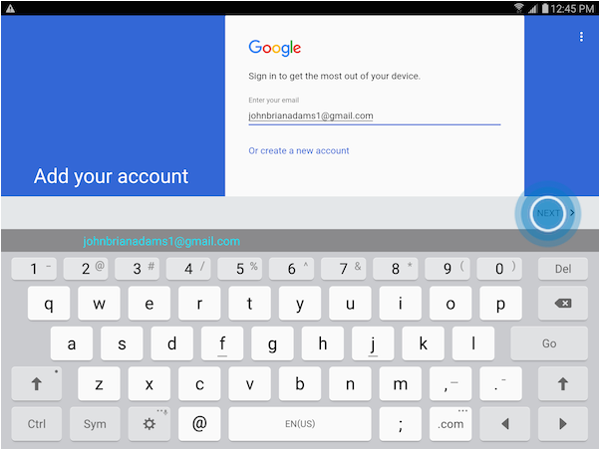 Touch Add account to set up the backup account. 7. Enter your email and touch NEXT. 8. 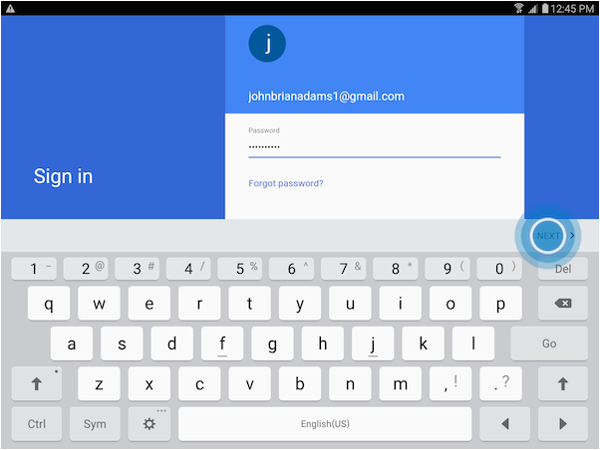 Enter the password and touch NEXT. 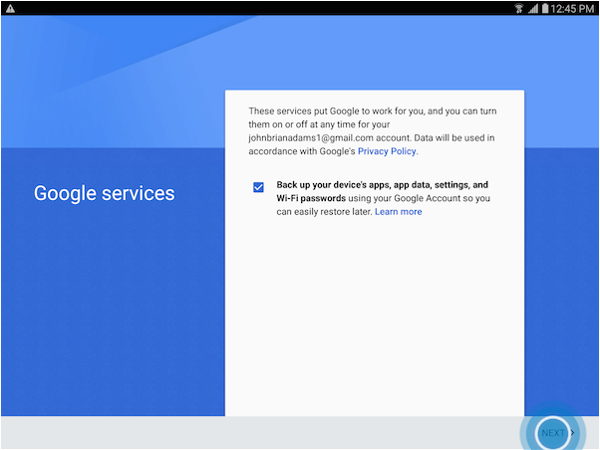 Your application data and settings are now backed up to Google Server and will auto restore when reinstalling an application. Automatic restore must be turned on .